If you have kids in school, then you’ve probably heard about the Box Tops for Education program. And you also probably know what a difference those Box Tops can make! Guess what? With back to school right around the corner, Walmart is offering 5-for-1 Box Tops on select General Mills products! Keep reading to learn more and to see how to make an adorable DIY Box Tops for Education Holder for all of those Box Tops you’ll be able to collect! Why Collect Box Tops for Education? As a former teacher, I know first-hand how tight classroom budgets can be. I would spend hundreds of my own dollars providing supplies to enrich my students’ educations. I also know firsthand what a difference Box Tops for Education can make!  And while I may not be currently teaching, as a parent I still do what I can to help – after all those are my children being taught and those children are all of our’s future. That’s why I make a point to collect Box Tops for Education and encourage other parents to do the same. Simply shop, clip, collect and send in your Box Tops. It’s truly that easy to give extra money to those teachers who give our children so much! Last year our school collected over $1700 worth of BTE! And they were able to turn that money into books, supplies, technology, and more. This year we hope to collect even more Box Tops! Of course when you collect Box Tops you need somewhere to store them until it’s time to turn them in. That’s why I decided to make a cute DIY Box Tops for Education holder. 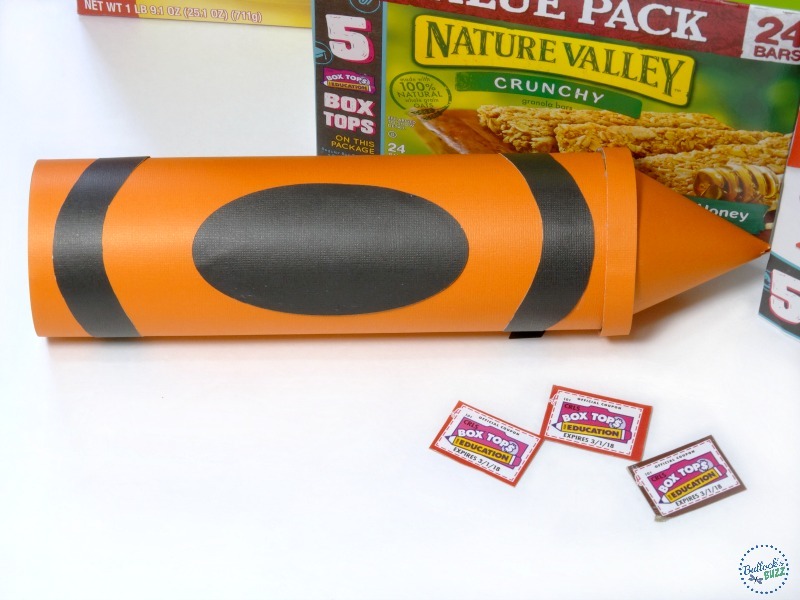 Using an empty potato chip can, colored paper and hot glue I created an adorable Crayon container perfect for keeping Box Tops together! Based on a Back to School Crayon Favor I found on I Heart Naptime, I thought this would make a fun way to keep up with all of those Box Tops! It only took me about 30-minutes to create, and it’s easy enough to make where the kids can help out, too! The only trick to this craft is making sure all of the paper seams are lined up so you have one ‘ugly’ side where all of the seams are. Aside from that, it’s super easy and super fun! 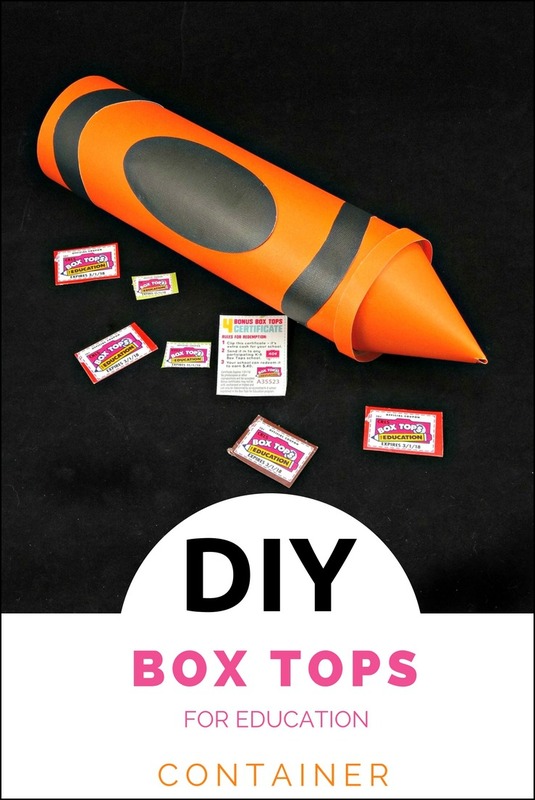 Ready to see how to make this adorable DIY Box Tops for Education Holder? one 10-inch x 9.5-inch piece of colored paper. I used cardstock and cut it to size. one 6-inch circle cut from the same color paper (I used a bowl as a template) with 1/4 of the circle cut out. 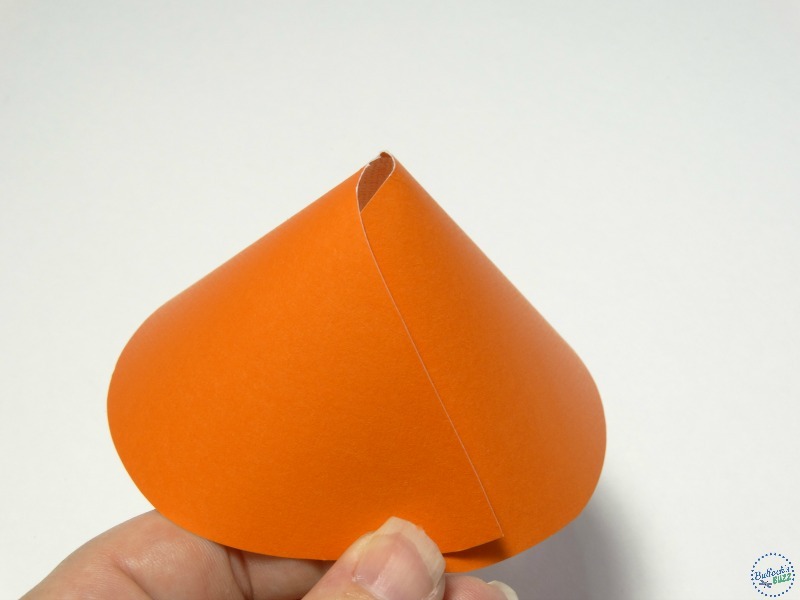 one 1/2-inch by 10-inches strip of paper in the same color as the circle. one 4-inch oval cut from a piece of black paper. 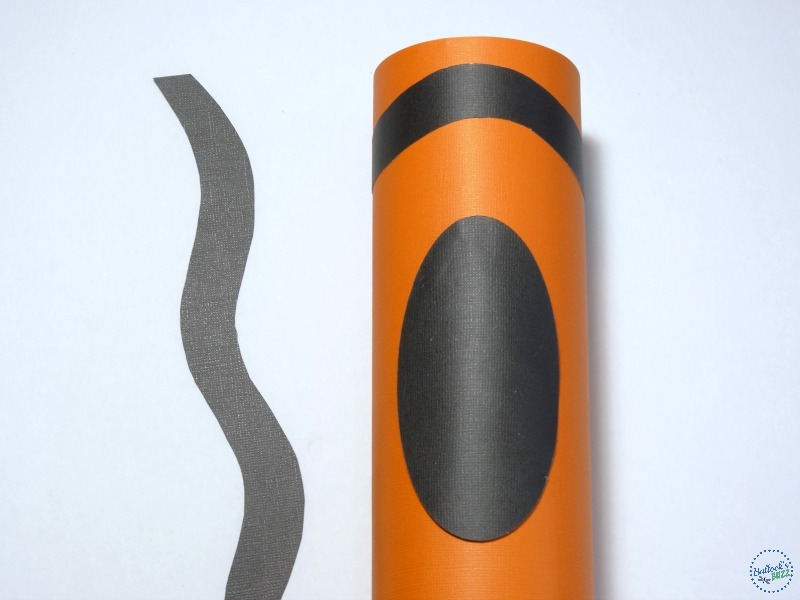 one 2 half-inch by 10-inch waves cut from black paper. I free-handed these. 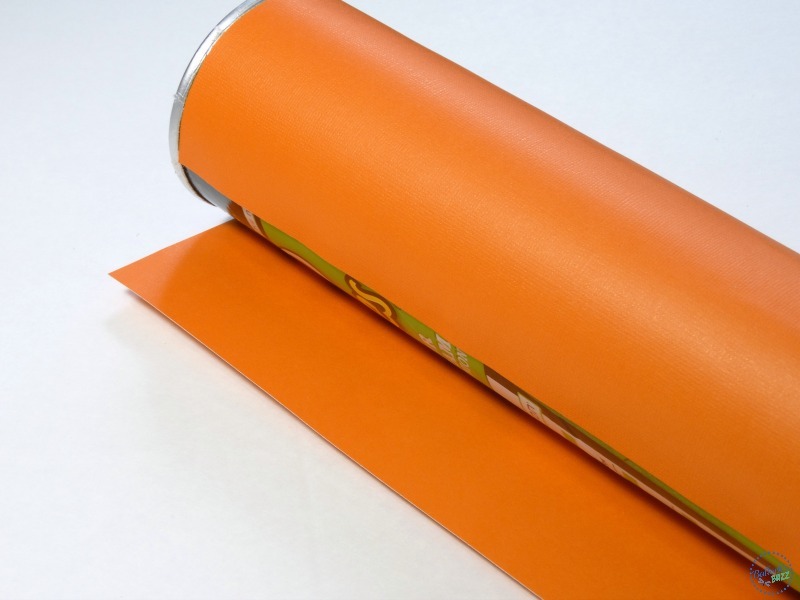 Begin by taking the 9.5×10-inch piece of colored paper and wrap it around the can. Use a few dots of hot glue to secure it. Next, glue 1 of the black wavy strips about 1-inch from the top of the can, and the 2nd wavy strip about 1-inch from the bottom of the can. Then adhere the black oval to the center of the can using the hot glue as well. 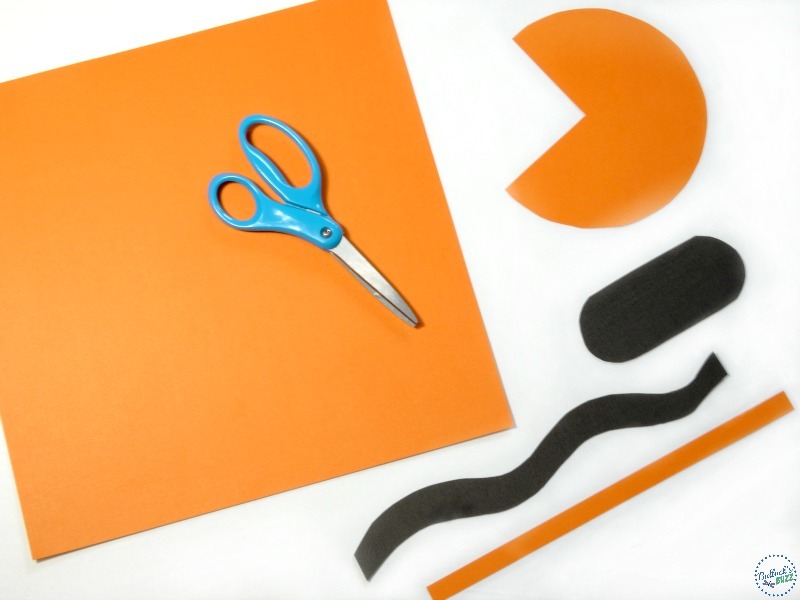 Now, take the colored circle with the 1/4 cut out and roll it into a cone shape. Simply slide one end under the other and it will roll into a cone. 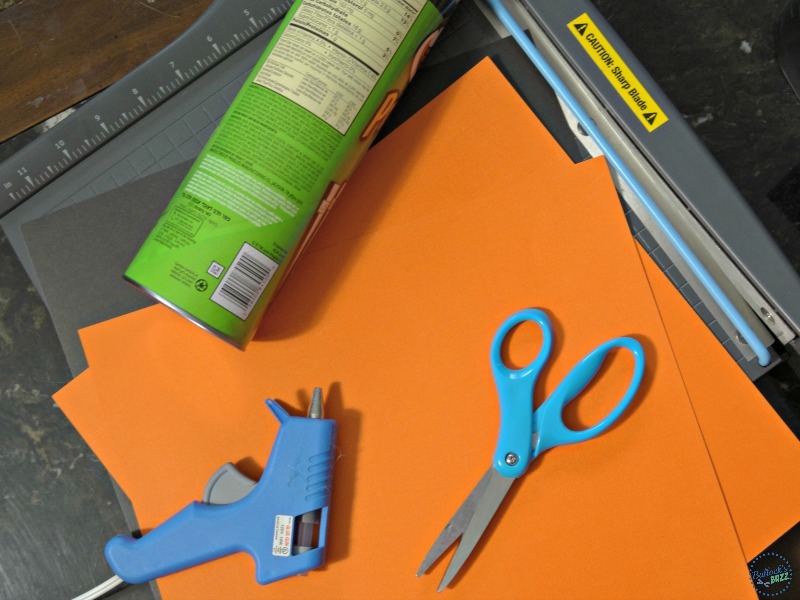 Continue rolling until the cone is the same size as the lid of the can. You will want it the exact size as the lid, not any bigger or smaller. 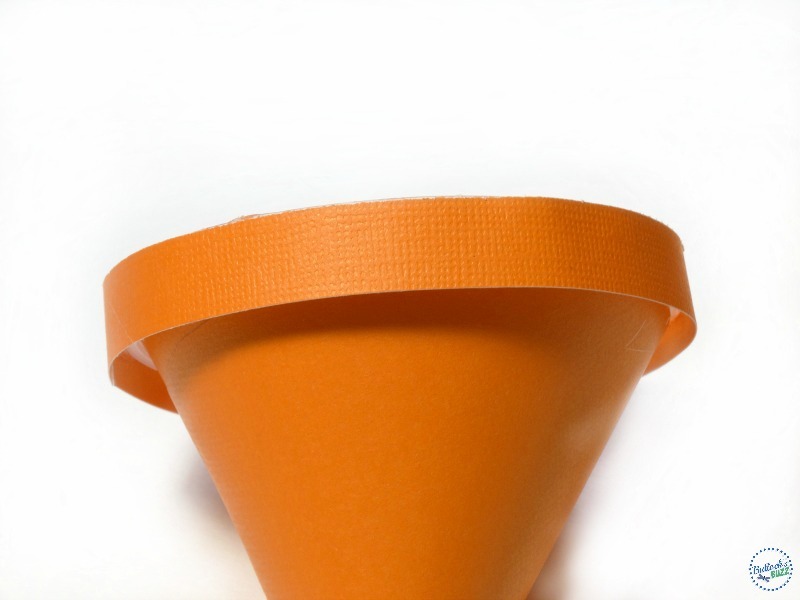 Use a little dab of glue on the edge to hold it in the cone shape. 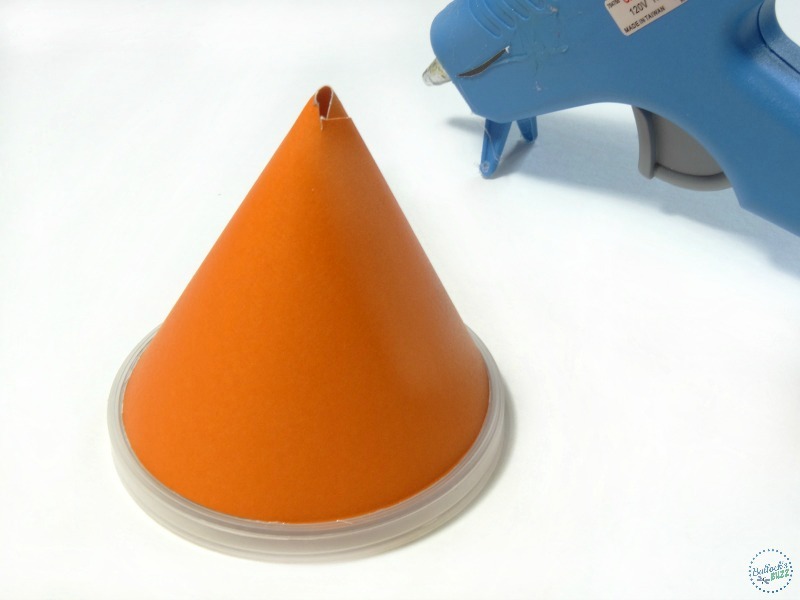 Next, add a thin line of hot glue around the edge of the top of the lid and place your cone on top. Don’t worry if it doesn’t look very pretty – it most likely won’t – we will fix that in just a second. Now grab the 1/2×10-inch colored strip and glue it around the side of the lid, covering up the ugly cone edge. See? All fixed! 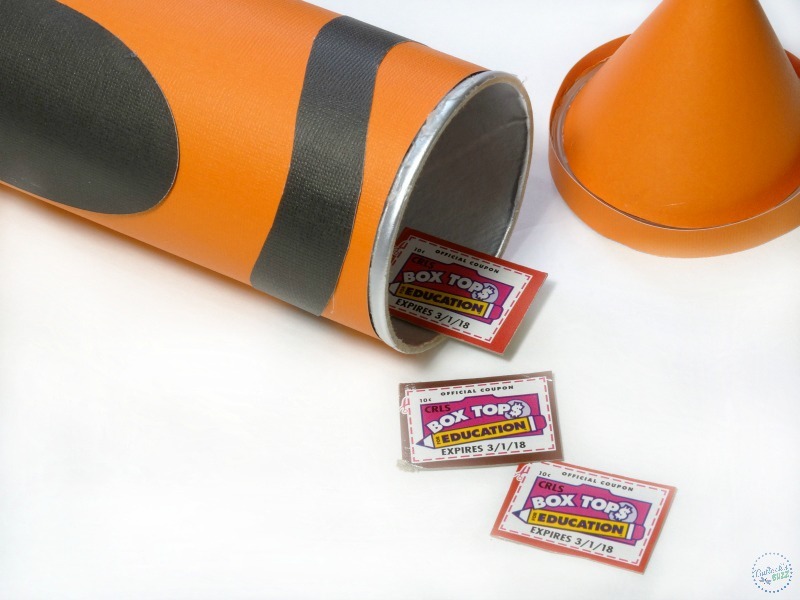 Lastly, pop the lid back on the can and admire the adorable DIY Box Tops for Education holder you just made! Once you are ready to add Box Tops you can either carefully pop the lid back off, or use a knife (adults only for this part please) to carefully puncture a slit in the tin bottom of the can. It’s totally up to you which one you choose. This summer be sure to keep an eye out for the 5-for-1 Box Tops deal on select General Mills products at your local Walmart. You’ll find them on everything from Yoplait Yogurt to specific cereals, from Nature Valley Granola Bars to Old El Paso Tortilla Shells. Those 5 Box Tops will really add up and will make a big difference for your local schools! 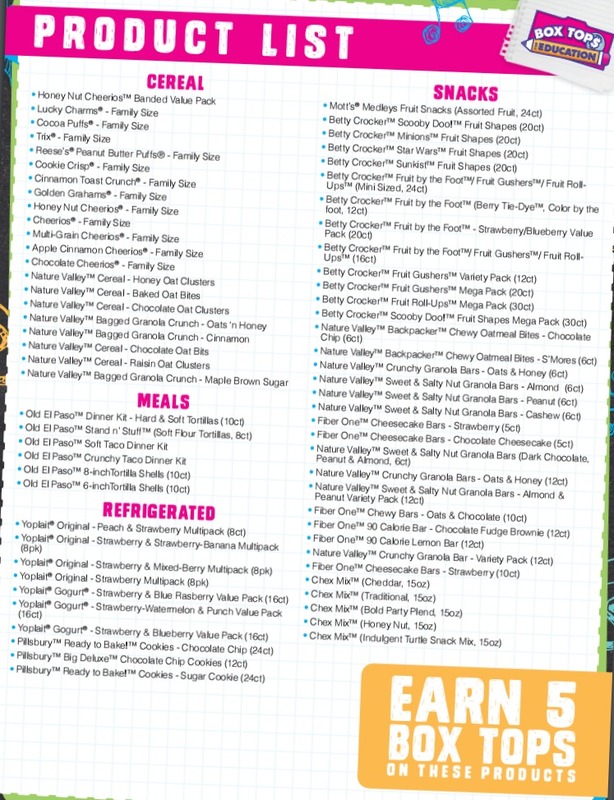 For more information and a printable list of all qualifying products visit the Box Tops for Education page on Walmart’s website. You can also click the above picture to access the complete product list. Happy shopping! 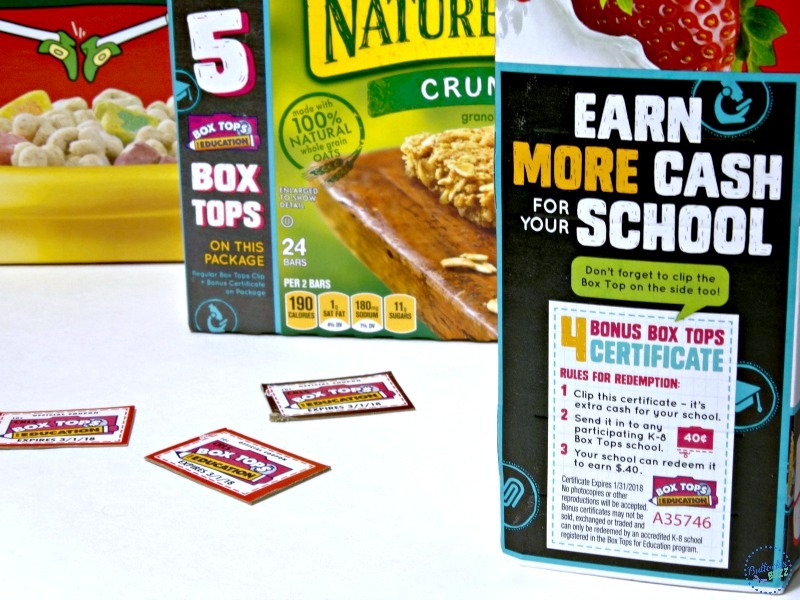 Do you collect Box Tops for Education for your school?